It’s easy to see why South Africans are increasingly visiting the Indian Ocean archipelago: sun-kissed beaches and sumptuous resorts make it an unforgettable holiday. All that luxury has many travelers fretting over the price tags but there’s no need: there are plenty of cheap resorts in the Maldives that will give you that indulgent holiday at a steal. Adaaran Club Rannalhi sits in the spectacular setting of the South Malé Atoll, just 45 minutes from the airport by speedboat. It’s a four-star facility with 130 rooms, water bungalows amongst them. This resort offers excursions to Fisherman’s Island, a local fishing village bursting with traditional Maldivian charm, and to the bustling capital of Malé. 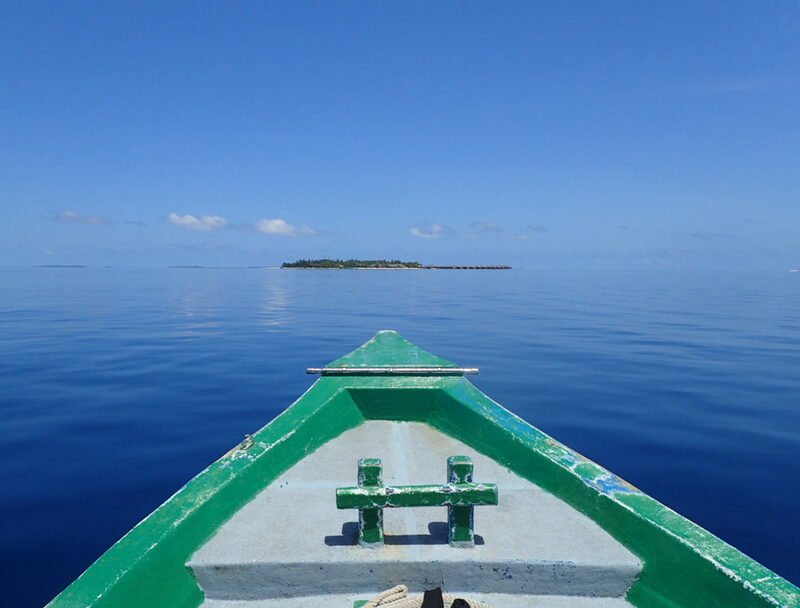 Island hopping tours are the perfect times for testing the Indian Ocean waters with swimming and snorkeling. Back at the resort, there’s also a spa and a superb restaurant with fresh seafood dishes daily. A one night stay for two people sharing starts at R3665. 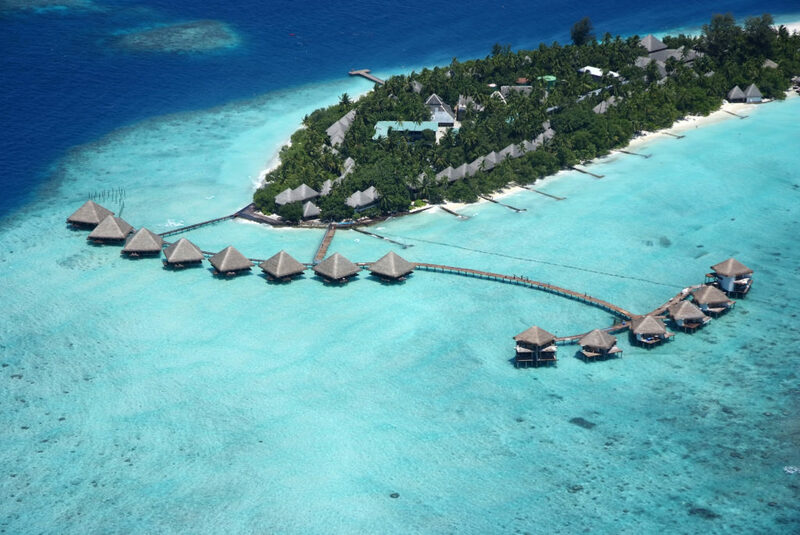 This five-star resort offers 60 beachside villas and 60 bungalows, suspended above the azure waters on stilts. Amari has three superb restaurants and facilities for diving. A wooden deck pathway, surrounded by lush vegetation leads to the Breeze Spa. “Refresh. Rebalance. Repeat.” is the spa’s motto which is echoed in its treatments: massages based on the client’s mood, Murad facials, and decadent four-hour package treatments. A 7-night honeymoon-style package costs R32 855 per person. That includes return airfare, return transfers, accommodation in a beach villa and three meals daily. Cocoon Maldives is surrounded by some of the best waters for diving in the Maldives. It also claims the title of ‘First Design Hotel in the Maldives’ with interiors designed by Italian brand Lago on a concept of lightness to give guests that much-needed feeling of serenity. There are three restaurants, either above the sea or pool front, and two sleek bars. 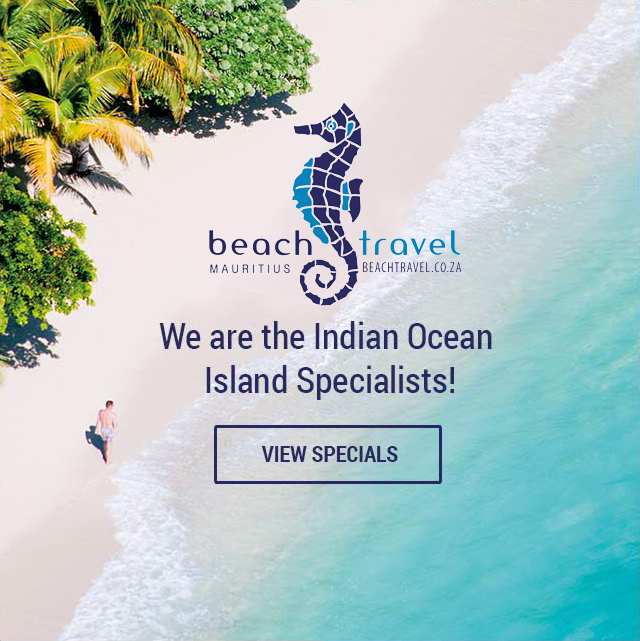 A 7-night stay comes to R37 735 per person with return airfare, return transfers by seaplane, accommodation in a beach villa, and breakfast and dinner daily all included. Filitheyo tops the list of best budget options every time. 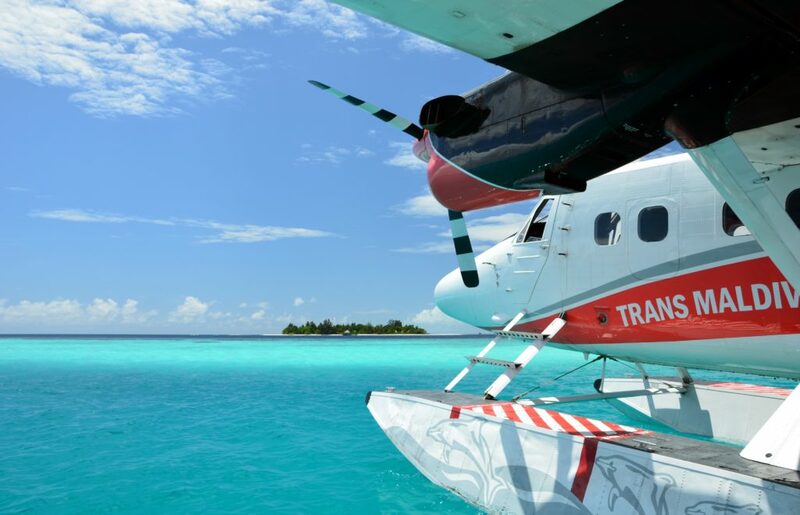 Its remote location helps guests leave stress behind as they embark on an awesome seaplane transfer to the 4-star resort. The diving centre is respected around the world. There’s also windsurfing, volleyball, and sailing on offer. The spa at Filitheyo is located in thatch-roofed chalets and provides massages with pure white Maldivian sand. 7 nights in a Superior Villa has a price of R27 940 per person. Return flights, return seaplane transfers and accommodation come with the cost, as does breakfast and dinner daily. 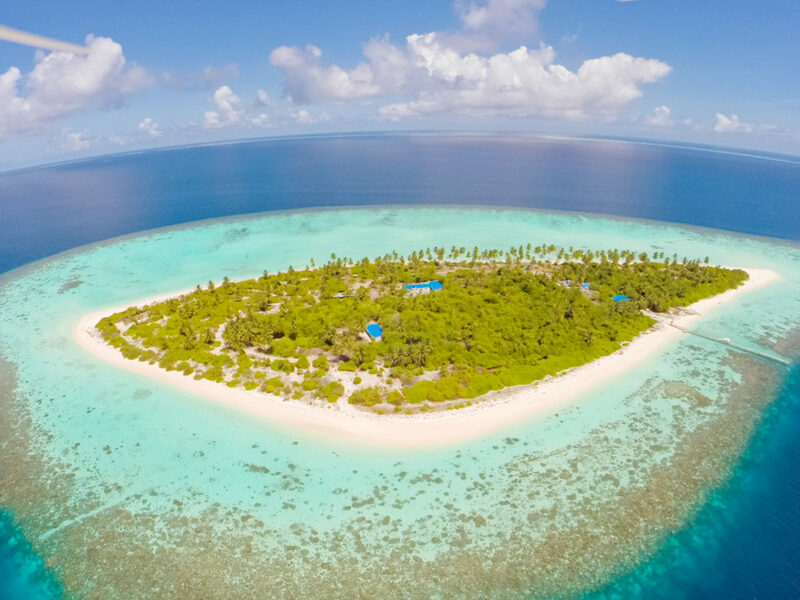 Biyadhoo Island Resort exudes tropical island paradise. The gardens are full of fruit trees and walkways are lined with palm trees. There’s canoeing, snorkeling, diving, volleyball and catamaran cruises on offer. Accommodation is in one of 96 rooms: not the most stylish but comfortable and good value. Fihalhohi offers trips to Malé, the world’s smallest capital, and scenic flights around the vicinity but, without a doubt, the hotel’s best-loved excursion is a day trip to Dolphin Reef. Like all resorts, Fihalhohi offers snorkeling lessons and excursions. At night, there are two bars, live music, bingo and film screenings. One night stay in a double room for R2858 including breakfast and dinner. Hurawahli kind of takes your breath away. 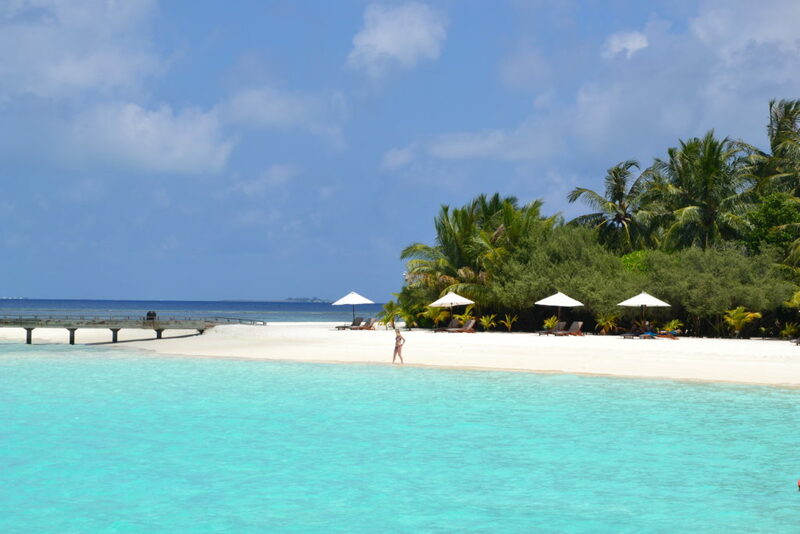 Located in the Lhaviyani Atoll, it’s a tranquil tropical retreat for adults only. The spa, sports grounds, range of watersports, photography sessions and marine biology centre are some of the hotel’s incredible offerings. The real drawcard, however, is the flagship restaurant: built 5,8 metres underwater, it’s the largest of its kind in the world. It’s a unique dining experience that won’t be soon forgotten. 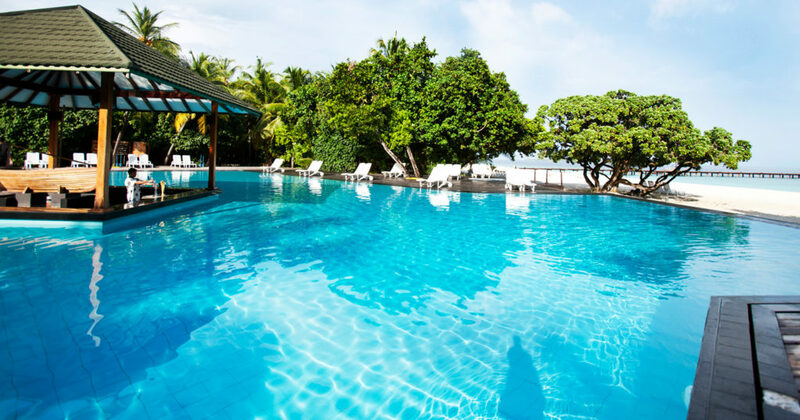 7 nights’ stay at this Maldivian resort has a price tag of R33 415 per person. Return flights, return seaplane transfers, accommodation in a beach villa and breakfast daily come with the cost. Adaaran Select Hudhuranfushi packages unremarkable style into an appealing budget deal. The garden villas have bland tile floors and a relaxing white colour scheme with pops of rustic orange. The lush greenery through the sliding doors helps remind you that you’re in a tropical paradise. Beach villas are suitably decorated in white and blue shades and are situated on the beach itself. This is one of the few surfing destinations in the Maldives. There’s a perfect left wave breaking right on the island and an additional six world-class waves a short boat ride away. 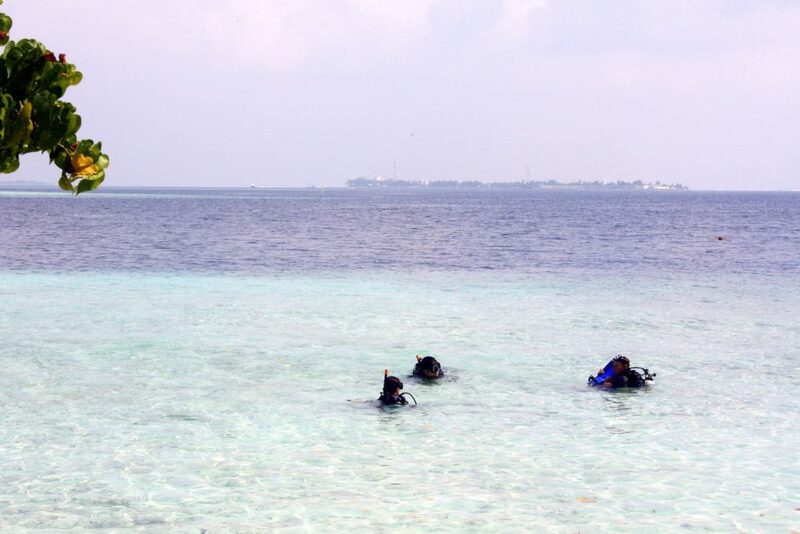 Hudhuranfushi provides expert guides to assist surfers in finding the best waves. The four bars keep guests well-hydrated, while there’s a choice between à la carte dining at Sunset Restaurant and buffets at Banyan Main Restaurant. A 7-night package costs R22 680. This buys you accommodation in a garden villa, return airfare, return speedboat transfers, three meals daily, selected drinks and daily snacks. Vilamendhoo packs a punch with plenty to keep you busy and a tranquil spa for when you need a breather. You can choose between snorkeling or diving. There are about eight different trips to various sites each day. To prepare, there are various lessons for children and adults, amongst them a PADI certified course. There’s more on offer: go out on a catamaran for an afternoon, ride the blue currents with windsurfing or work your muscles with kayak trips. 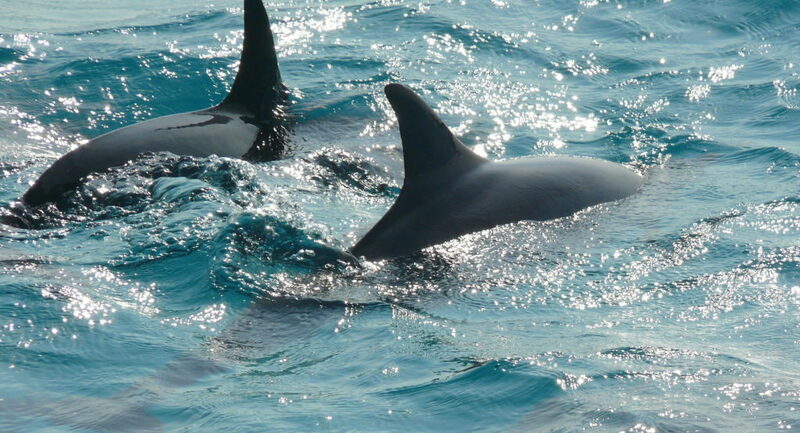 Cruises around the neighbouring islets are also available. These are particularly beautiful at sunset. Rooms start at R3519 for two sharing, all meals included. On the upper end of the budget, spectrum lies Velassaru. With an avant-garde design that’s both warm and refreshing, the rooms are comfortable retreats from reality. The cuisine on offer ranges from local Maldivian seafood to international favourites. The intimate beachfront restaurant, Sand, allows guests to dine in private pavilions directly on the powdery sand. It’s an awe-inspiring sunset experience. One nights’ stay comes to around R3628 for a bungalow room. 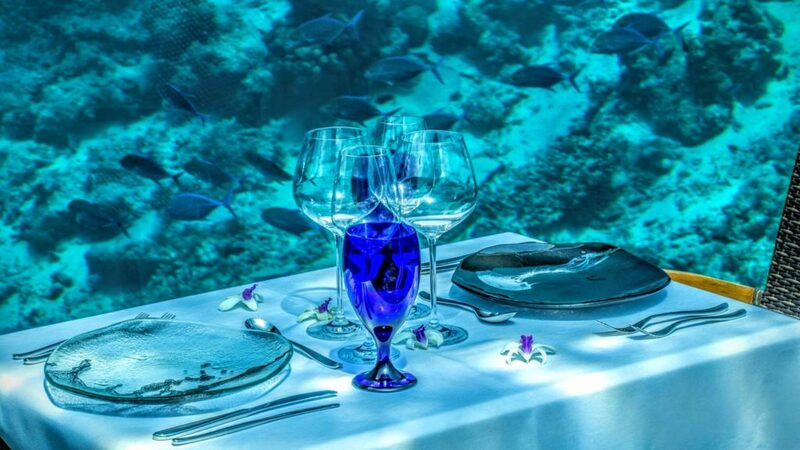 Underwater dining, designer interiors, and water activities are the stuff of amazing holidays. With these ten cheap resorts in the Maldives, it’s clear that a trip to the tropical paradise can be for everyone!